If you’re selling people things and you want to make lot of money you really have to have an eye for detail. In fact you have to be obsessed with the details. There’s a great story about Steve Jobs, the late founder and leader of Apple, that illustrates his particular obsession with tiny details. “Vic, we have an urgent issue, one that I need addressed right away. I've already assigned someone from my team to help you, and I hope you can fix this tomorrow" said Steve. "I've been looking at the Google logo on the iPhone and I'm not happy with the icon. The second O in Google doesn't have the right yellow gradient. It's just wrong and I'm going to have Greg fix it tomorrow. Is that okay with you?" A CEO that concerns himself with details that small and on behalf of an entirely different and rival company is the CEO of a company whose products you can rely on. That obsessive perfectionism is one of the key reasons Apple is perhaps the company that inspires the fiercest loyalty from its customers. Of course not all business leaders are Steve Jobs. But we can learn a little from his obsession for detail. You can begin with web sites. Companies seem to forget that web sites aren’t things you get amateurs to make for you and nor can most people do them themselves. Web sites need to be carefully crafted and above all need to contain what customers need. Banks are a good example. In the last few weeks we’ve spent a lot of time looking at the card skimming issue and one of the key findings is that bank don’t make it easy to protect yourself. In particular they don’t make it easy to find the emergency number to call if your card is stolen or if you think your security has been compromised. Some bank web sites don’t give the number at all and others give the wrong number. Let’s overlook the banks that don’t even have a 24-hour number for their customer to use. You have to ask how difficult it can be for a company to occasionally check its own web page? You then have to wonder, if they’re that careless about the first thing many customers see, how careful are they going to be with your money? Customers also have to be detail-obsessed. I’ve heard several times in the last few months about customers being short-changed in stores and filling stations. In the filling stations it seems a common practice by the fuel attendants not to zero the pump once a customer has left. The next customer then arrives, orders P100 of petrol but doesn’t notice that the gauge still shows the P50 the previous customer ordered and that’s where his petrol delivery starts counting. He pays for P100 but only gets P50 worth of petrol. The missing P50 goes into the attendant’s pocket. In stores the practice seems to be to give some customers their change using lots of coins. It’s only when customers deliberately count it in front of the shop assistant that they say things like “I think I might have cheated you with P20”. Yes, that’s a real quote. While you’re in the store, make sure you’re obsessively interested in labels as well. No, you don’t have to examine every single label on every single product, there are plenty of products that you can be confident are fine. Cans of beans, bottles of ketchup and jars of jam will be fine so long as the packaging is intact and undamaged. What you MUST obsess over are those products that really might kill you. Dairy products and all forms of meat, chicken above all. Don’t even think about putting it in your trolley if you haven’t checked the Use By date and also had a careful look at the item your buying. If it’s expired or there’s no label at all then don’t buy it. Instead take it to the manager and politely ask him or her to remove it. They won’t complain, honestly, stores don’t actually want to kill their customers. It’s not just customers that have to be obsessive about checking receipts, it’s stores too. We had a complaint recently about a store that had apparently sold a customer bread that turned out to be mouldy. The customer went back and because she could give them her receipt was treated, she felt, rather unpleasantly. We got in touch with the store and to their credit they reacted wonderfully. They invited her back to the store once more to meet the Regional Manager, they checked the security video footage and offered her a nice apology and a P100 voucher on top to confirm how sorry they were that she felt mistreated. She then contacted us saying she’s a very happy customer again. That’s fair, of course stores have a right to protect themselves by being slightly obsessive about proof of purchase. Luckily the sensible ones are prepared to be flexible when they encounter a customer who’s obviously honest. Maybe if everyone was a little bit more obsessed with details life would be a little bit better? Perhaps even a lot better. I received an email inviting me to a conference about Domestic violence to be held in Seattle in the USA and then in Birmingham in the UK. The email said that everything would be paid for me except for the hotel in Birmingham. Can this be true? No. I think you know it’s a scam, don’t you? This dual-venue scam has been going round for several years and it’s always the same story. A conference, always concerning something admirable, is announced and people start receiving invitations to attend with all costs paid by a worthy-sounding organisation far, far away. All the costs except one and it’s always the cost of a hotel stay. Once you accept the invitation you discover that it’s a hotel stay that requires a cash payment up front, not by bank transfer, not by credit card, not by debit card but, yes, you’ve guessed it, using Western Union. That’s what this is all about, that “advance fee” that the scammer wants. The truth is that there is no conference, no generous foreign donor prepared to pay for anything, even the person emailing you is a fake. But then you knew that, didn’t you, when you saw that they emailed you from a Gmail address? Rest assured that if you DID pay them any money you’d never see it again and worse still, you would then known throughout the scammer community as a “mugu”, the Nigerian word for a foolish victim or “idiot” and you’d be bombarded with enticements to lose even more money. So just delete the email or if you’re feeling brave you could reply telling them that Botswana isn’t a nation of mugus? Remember that you don’t need to be polite with scammers! The normal clues were there. The ridiculously low interest rate, the absence of a landline telephone number, the offer to lend money to people already in debt and with bad credit records, the poor English, they’re all warnings that this “company” can’t be trusted. However, the interesting thing is that Express Finance is a real company, a real lender based in South Africa, but the emailed letter is a fake. I called the real Express Finance and their rather exasperated manager was very frustrated. Before I could fully explain he said "Was it from Mandy Louw?" This is another advance fee scam. As with all other fake lenders who email strangers offering cheap loans there'll be a setup fee, a legal expense, an account-opening fee, something to get you to send money to the lender rather than him sending money to you. Don’t fall for it. This isn’t how real lenders operate. All you’ll be doing is giving your money away, not borrowing anything. I just saw a very good example of phishing. Phishing is a technique used by criminals to steal your digital identity. Sometimes it's your banking identity they want, other times it just your email account they want to hijack. Sometimes it's both. You are receiving this message because your Gmail Mailbox Quota limit is exceeded. 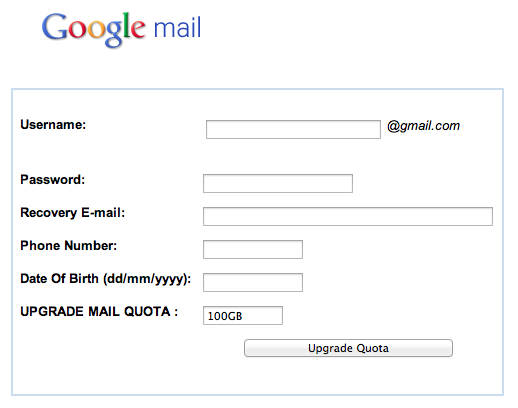 To continue using Gmail,you will need to upgrade your Mailbox Quota(please note this is free). Failure to do so,youâ€™ll be unable to upload additional items to your Drive or photos to Google+, and, after a period of time, incoming messages to your Gmail account will be returned to the sender. Note that Gmail will bounce emails until you rectify quota issue. It's strongly required that you take action. This message was sent automatically and this mailbox cannot receive replies. It would be easy to think this was an important issue. Something that needed your immediate attention. I can understand how you might be tempted to click on the link. But the key thing is that the link didn't go to Gmail at all. It actually went to a web site in Austria. Interestingly if you enter your details (don't panic, I entered random letters) and click the button this is the thanks you get. The scammers behind this are hoping that you will carelessly type in your email address and, most importantly, your password, not noticing that you're nowhere even close to Gmail. Before you know it they'll have signed on to your Gmail account and your friends will be receiving emails saying you've been on a last-minute trip overseas and have lost all your money and can they please send some to you using Western Union. The truth is actually simple. Trustworthy organisations like Google and your bank will never send you emails like this, containing links to click. Only criminals do that. Be careful what you click on! The latest fake university - "Belltown University"
Yet another fake "university", this one calling itself "Belltown University". Of course it's not a university at all, it's a diploma mill that will sell you worthless, fake degrees for money. It's the latest member of the family of bogus establishments that we've mentioned over and over again. What more evidence do you need that it's a fake than this conversation I had with them a few moments ago. [Me]: I need to get a Masters degree in Psychology to get a promotion. I already have a Bachelors, how long do you think this will take? [Me]: I get a degree in 10-12 days? Sr. Counselor: What we do is we take down your life experience, that is your working experience and your past educational qualification, convert them into credit hours, if these credit hours are equivalent to the credit hours that are require to complete your desired degree then you qualify and we award the degrees accordingly, if you are successfully evaluated we start with the registration process registering you and your documents with the university and the Accreditation bodies and after that we make sure that the documents are shipped out to you in the next 10 working days. [Me]: What about exams and coursework? [Me]: How much will this cost me? Please don't waste your time or money on one of their fake qualifications. You'll just be as much of a liar as they are. Actually they never left. They never leave, not ever. Scammers are like viruses, they’re constantly mutating. Just as we get used to one strand of scammer, they mutate and come back in another form to challenge our intellectual immune systems. In the last week we’ve heard from many people asking whether an email or SMS they received was, or was not, true. Several people got in touch asking if a text message they received was genuine. Each of them received this message from +254714980739. How many clues that this is a scam can you spot? Firstly the obvious one. Several different people received it. They can’t all have won. Then there’s the fact that the winner isn’t named or identified. What about the fact that Apple don’t give vast amounts of money away to total strangers for no reason? Also, if it’s really Apple, don’t you think they would have given an Apple email address? And finally, a UK-based “PROMO” comes from a phone number with a +254 prefix? That’s Kenya. So it’s obviously a scam. The good news is that a couple of the people who received it instantly knew this. Others weren’t so sure and wanted us to advise them. Who knows how many people received and have already responded and are about to lose loads of money? Again the clues are simple. Real lenders who have up to €10 million to spare don’t use Gmail email addresses. Real lenders don’t advertise on Facebook. Real lenders don’t offer loans without some sort of security at a mere 2% interest. The email demanded a range of personal details including photographs and a copy of his passport. It said that he must pay a “Work permit visa fee” to the British High Commission in India and then he would be sent an air ticket to get him to London to take up this job offer. This isn’t how hotels recruit. The UK is in a recession so why would they recruit from overseas? They certainly wouldn’t recruit people in Botswana via their High Commission in India. British diplomats can also usually spell correctly. High Commissions and embassies don’t require payments using Western Union. This is all about the "Work permit visa fee" they want. That's the "advance fee" that the scam is all about. Once the victim pays that fee they’ll stall, demanding more and more money, stopping only when the victim runs out of money or finally realizes what’s happening. Some of you will be asking why people fall for this nonsense when it’s so obvious? Doesn’t everyone see through these scams instantly? Herley’s observation is that the more unbelievable the opening story is, the more likely the scammers are to make money. Strange but plausible. It goes like this. Given that the scammers send these ridiculous emails to thousands, perhaps even millions of potential victims, how can they ensure that the ones who respond are most likely to be the ones who will end up coughing up their cash? You might think that they could do this best by constructing a story that is believable as possible? Not correct. If they did that, the research shows, the scammers would have to manage an enormous number of responses. Most of these more sensible people would eventually realise that there was something suspicious going on. In fact the best way to maximise their successful response rate, to get the highest proportion of victims to cough up cash, is to make the story as stupid as possible. If they do that, then only the MOST gullible people will respond. The people likely to respond to those emails are the ones worth the scammer’s time. Make the first email as stupid as possible and the victims will select themselves. It’s very easy to think that these scams don’t happen any more, that scammers have moved on to other ways of parting the gullible from their money. This is true to an extent, scammers have evolved, but they haven’t abandoned their roots, their core business remains the same, mainly because it can be so profitable for them if they get it right. Those of us blessed with some skepticism can’t give up the fight. We have to keep warning our friends, relatives neighbours and colleagues who aren’t as skeptical as they need to be. Scammers are viruses, skepticism is intellectual ARV therapy. I bought a bed and couch on credit in May 2010. I made regular monthly payments until April 2011 when I went on maternity leave. I was not able to pay for three months while on maternity leave. When I came back from leave, they never listened to me, but rather took the bed and the couch from me. They have now blacklisted my name at ITC and they say I must pay them the outstanding balance. That is when they can clear my name. Please help me because I don't understand why I must pay for the items that I do not have in my possession. I’m afraid that how store credit works. It’s one of the reasons why I think it’s such a hateful way to buy things. When you buy something on credit you commit to paying a lot more than the cash price of the item you buy. Furniture with a cash price of P5,000 will normally cost around P10,000 to buy on credit over two years. That is how the store make money, that extra P5,000 they get. It’s why stores push you to buy that way rather than for cash. If you default on your repayments halfway through the repayment period, like you did, you’ve repaid about half the total amount but the half remains outstanding. You still owe the store P5,000. Yes, they’ll come and repossess the furniture but remember that it was only originally on sale for P5,000. A year ago the furniture probably only cost the store P2,500 to make and it’s now a year old and is now second-hand. If they sell it at an internal auction they might get only P1,000 for it. That leaves P4,000 you still owe them. Add on top the penalty and administration fees you agreed to when you signed the credit agreement (trust me it’ll be in the small print) and you might easily still owe the store more than the value of the goods you bought all that time ago. And they’ve listed you as a bad payer with a credit reference agency. Please understand that I’m not defending the store or their credit agreement. 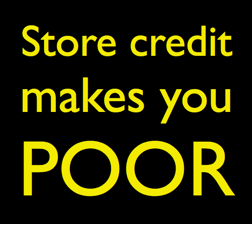 I despise store credit schemes and urge people NEVER to enter one if they can possibly avoid it. But that’s how they work. That’s how stores make their money. Meanwhile if what you say is true they did seem a little hasty. They should have waited a little longer than just three months before coming round and seizing your goods, particularly if they knew you were on maternity leave. I’ll get in touch with the store and see if they can show some flexibility. Update: The store management came back to us and it seems that the story isn't complete. Our reader has, to put it politely, a poor repayment history so they're not feeling very flexible. While I still feel the same about store credit, people nevertheless must stick to their agreements wherever possible. I bought a laptop (HP630) from a store last August and in June this year I returned it because it was giving me problems. It has been with them for 2 months now and my school work is suffering. They say they can't give me a new one because it would be a loss for them but the warranty expires in September. I’m hopeless, please help!!? I understand that it can take a little while to diagnose and fix a problem with a laptop. I do understand. But it should take just a couple of days, not a couple of months. What’s more, HP, one of the most popular manufacturers of personal computers in the world, has two authorised warranty repair centers in Botswana. These both employ a number of highly-trained experts who can fix these things quickly and easily. So there’s no real excuse for this for this sort of delay. It should really only take a matter of days to decide whether it can be repaired or if it needs replacing. Unless they’re not using the official warranty repair mechanism perhaps? I’ll get in touch and see if they can’t hurry up a bit. Update. I heard back from the reader. The store got in touch, apologised profusely and gave her a brand new replacement laptop. Good for them. Important update: Note that there is a genuine payday lender called "Express Finance" in South Africa. Their company identity details have been stolen and used by these scammers and the two are not connected in any way. "Thank you very much for the help that you always give so that we can be aware of those scams who wants to eat our money. Now I am very concerned about my salary. I was involved in Highgate scam who ate my money claiming they'll give me loan. My worry is since I sent them my account number are they not going to get get to my salary from my account. Your assistance will be highly appreciated, pliz respond for I'm paid on the 27th so that I can act before its too late." "Get a loan from R10,000(Ten Thousand South Africa Rand) up to R10,000,000.00(Tem Million South Africa Rand) when ever you need it -at a fixed interest rate of 2.8% for your peace of mind." Unfortunately no real company lends up to R10 million at 2% interest. I suggested that he contact his bank and let them know what had happened, but he's reluctant, fearing that they'll just laugh at him. Which is worse, I wonder, embarrassment or victimhood? He then asked about another "lender" who had emailed him. I wonder if it was even the same people as those behind "Highgate"? Express Finance was born out of our cooperate initiative to assist individuals and corporate organizations with prompt financial services. Express Finance initiative is part of our corporate social responsibility towards our esteem numerous clients for our synergy in building a reliable partnership over the years. The Express Finance innovation has completely satisfied the financial credit act of South Africa. 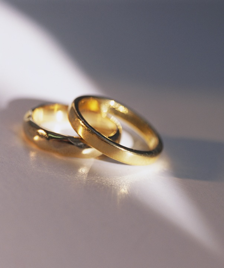 We offer guaranteed loan services at 2.5% interest rate per year. Do you have bad credit? Do you have unpaid bills? Have you been turned down by your bank? Are you in debt? Do you need to set up a business? Do you wish to expand your current business? Worry no more as we are here to offer you a low interest rate loan of 2.5% interest rate per annum. Again the normal clues apply. The ridiculously cheap loan, the absence of a landline, the poor English and the dodgy graphics. However, Express Finance is a real company. 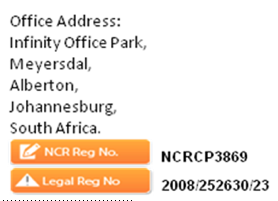 The NCR registration code quoted is real just like the address. But the emailed letter is a fake. I called the real Express Finance and their rather exasperated manager was very frustrated. Before I could fully explain he said "Was it from Mandy Louw?" This is an advance fee scam. As with Highgate there'll be a setup fee, a legal expense, an account-opening fee, something to get you to send money to the lender rather than him sending money to you. You have banished from the Bank and you do not encourage the banks or better you have a project and need financing. So I responded asking to borrow €15,000, about P100,000. The scammer's comments are in blue. I good receipt of your email and can assure you that with me you will have a total satisfaction to your query. I am an individual, reliable financial experts, I offer loan to people of trust and honest with who I can work with certainty. So regarding your loan application, I bring to your attention that the transfer of the funds will be properly effective. So here are the loan conditions concerning the transfer of €15000. For a loan of €15000, 3% interest which makes €703.85 interest and the total amount of your refund is €15703.85 with a monthly payment of €436.22 / month over a period of 36 (3 years period). Must I pay you anything to set up the loan? How much is that? Do I pay that before I get the loan? And I pay this in advance? So it's an advance fee? Don't lie to your customers. Just don't, ok? There I was, sitting at a coffee shop enjoying a late breakfast, minding my own business when my cellphone rang. It was a South African number, +27 (12) 991 0877. A female voice asked if this was Mr Harriman and then announced that it was "Stanbic Bank South Africa" calling. I responded politely, saying "No, it's not." Yes it is, she maintained. I suggested, still politely at this point, that it was not Stanbic Bank in South Africa and that I knew this for two reasons. Firstly there is no Stanbic Bank in South Africa. In South Africa it's called "Standard Bank". Secondly, I pointed out, she was actually calling from "M & E Accounting Services", not Stanbic at all. I knew this because I'd looked up the number she was calling from. I suggested to her (I stress still politely) that opening a conversation about a banking matter with a lie is a bad idea. Yes, she conceded, she was indeed calling from that company but that Stanbic Bank had told them to say this. I repeated that I thought lying was a bad start to a conversation so she explained that they felt this was easier for customers in Botswana to understand and less likely to confuse us. Presumably because we are easily confused in Botswana, simple souls that we are. By this stage I was irritated and I might even have been slightly less than polite. I firmly stated that I wasn't prepared to answer ANY further questions or provide any further details. She thanked me and said goodbye. I don't blame the woman calling, it wasn't her fault that she had to phone me and irritate me. It wasn't her fault she was told that in Botswana we're easily confused and don't understand about borders. It wasn't her fault she had been told to lie. I don't have a problem with a bank outsourcing calls like this, particularly when it follows that bank screwing up its credit card payment mechanism and leaving us all looking like we're behind with our payments when, in fact, we've done our best to make them. So who is to blame? I think that's obvious, don't you? My business mentor, Bill Marsden, my first boss in the private sector, told me that the first rule of business was never, ever to lie to a customer, firstly because it's wrong and secondly because the customer will almost certainly find out. Sorry Stanbic, you've been found out. I wonder. Do you think this might be the beginning of an "advance fee" scam? Maybe he really does want to "help a many people"? Or maybe he's a made up character running a scam. I emailed my friend Christian Yves Ponthon and asked to borrow €500,000 and guess what? My request was immediately approved. All I needed to do was send him my personal details and a copy of my ID and he would lend me the money at a mere 2% interest, no repayments necessary for 8 months. Oh and one other thing. He needed €500 up front. A fee. In advance. An advance fee. I like P5 coins. I like that we carry around in our pockets and purses a token with the word Ipelegeng on it. I like it because we need to be reminded that the only people who will really stand up for our interests are ourselves. Yes, I know that you and I don’t have any special legal powers, no action hero superpowers and no particular knowledge that will equip us to fight against abuse but the truth is simple. If we don’t complain, nobody will ever know we were abused. The evening before writing this we were in one of those sell-everything-cheap stores in a middle of the range shopping mall, just to have a look round before visiting a restaurant. As well as an enormous array of the lowest possible quality toys, man-made fibre clothes and a vast array of phones, watches and jewellery that clearly weren’t exactly genuine the store had a number of items that were more worrying. Not that pirated goods aren’t worrying, in fact they can be lethal. A flight attendant in China was recently killed, electrocuted while she answered her iPhone as it was charging. It’s important to know that this was nothing to do with Apple or its products. She was using what was politely referred to as “a third party charger” to charge her phone and it’s probably safe to assume that it hadn’t reached the exactly standards that Apple require of their own products. A few years ago we were shown photos taken by a Gaborone businessman of his trousers which had caught fire while he was wearing them. The culprit on this occasion was a “third party” replacement battery for his Nokia cellphone that had spontaneously burst into flames in his pocket. He was lucky to survive intact. A year ago one of our office computers was completely destroyed when a visitor to our office decided to play a pirated music CD on it. The CD shattered inside the drive, destroying the drive and shooting shards of plastic throughout the casing, killing the entire PC stone dead. Luckily we had backups. Correction, it wasn’t luck, it was experience. We also now have much stricter rules about what visitors can do in our office. But back to the store. The thing that worried me most was the less technological devices they were selling. Kettles, irons and electrical plugs. I’m no expert but it’s fairly easy to spot cheap crap when you see it. Irons are meant to feel fairly heavy when you pick them up. Their heavy-duty plastic casing is meant to feel heavy-duty. The mains cable is meant to enter the device securely and not feel like it’s going to fall off at any moment electrocuting the user. Same for the kettles. The lid is meant to fit tightly so that steam and boiling water doesn’t splash out all over your toddler’s face. The plugs are meant to be solidly made and not catch fire at the slightest opportunity. None of the items I saw there seemed good enough. I can’t believe that any of these items would have passed testing by the Bureau of Standards. But BOBS and the other regulators, even though they have a duty to test things, can’t be everywhere at once. Even with massively increased resources (which they’re never going to get) they still couldn’t be in every store at every moment. I suspect that every store in the country is visited by at least one Mmegi reader every day, even in the most remote places. WE are the eyes and ears of the regulators. We are their agents in the field. Even though we’re not paid to do it, we are the field staff of the various regulators. We are all agents for the Bureau of Standards, the Bank of Botswana, BOCRA, the telecoms regulator, the Consumer Protection Unit, the Department of Immigration, the local councils and the Police. If we see something wrong and we don’t tell them, how can we blame them for not knowing? We don’t live in a Big Brother state where everything we do is watched, recorded and investigated. We can’t expect the authorities to know things if we don’t tell them. We even need to be informants for management. I recently heard of a situation where a customer at a restaurant was presented with a hand-written bill when she asked to pay. There wasn’t a power cut, there hadn’t been a communications failure with the point of sale device, the till hadn’t (it turned out) run out of paper. This was what is sometimes politely referred to “retail shrinkage”, the loss of money between the point of manufacture and the point of sale, on this occasion due to the waiter stealing the money. Instead of entering a sale into the till, he wrote a manual bill, took the customer’s money and just put it in his pocket, leaving no record at the store that the sale ever took place. Nobody is going to notice a little less coffee, coke or ice-cream. The difference in this case was that the customer thought it strange and later called the manager to check if this was legitimate. No, she said, it’s not. The waiter is now looking for another job. We need to do this more often. When we see theft or dangerously low-quality items, particularly those that might incinerate us, we need to speak up. We need to tell the authorities where they need to check on our behalf. We need to call in “the big guns” when they’re needed. If we don’t tell them where to look, can we really complain when they don’t see? 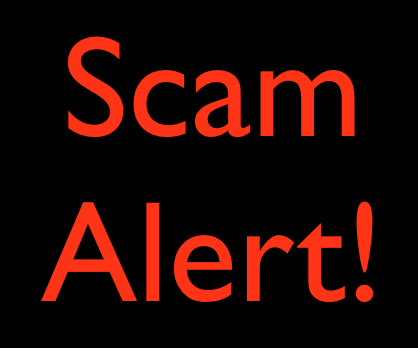 I would kindly like your assistance in verifying whether X-forex trading is not a scam. I recently registered with them and was advised about the good investment forex trading can be. What disturbs me now is their persistence for me to give them my bank card details and that I need a minimum of $100 to trade. They claim to operate from Australia. Please assist before I lose my hard earned money over a scam. I’ve been asked by many people about XForex, often asking if it’s connected to the Eurextrade Ponzi scheme scam that collapsed earlier this year. XForex is slightly different, it does actually seem to be a legitimate mechanism, but makes promises that are absurd. The first thing to mention is that ordinary people like you and me don’t make money by trading foreign exchange. The market is so volatile, the changes usually so slight and the companies like XForex so suspicious that we’re not going to make a fortune, if anything from it. Think of it this way. If big commercial banks don’t make fortunes this way with the trillions they have to invest, how can mere mortals like us? The only people making money from Forex trading are the people running the companies encouraging us to cough up our cash. The picture they use, by the way, is a stock photo available on the internet, it’s nothing to do with XForex. You can tell this scheme can’t be trusted, can’t you? Hello, a friend came to me with an interesting opportunity called WorldVentures. I'm not too sure of its authenticity and was hoping that you guys could look into these guys for me? WorldVentures is yet another pyramid scheme, operating along the same lines as TVI Express which ripped off Batswana a couple of years ago. WorldVentures claim to sell holiday discount vouchers and they say that these vouchers can drastically reduce the price of holidays, hotel stays and travel in general but that’s just untrue. They’re just a pyramid scheme pretending to have a product. Let me be very clear. A discount voucher isn’t a product, it’s a reduction in the price of a product. What they’re really interested in is you recruiting more and more people beneath you, forming the pyramid that makes them so much money. WorldVentures are required in the USA to publish their earnings figures and they tell the real truth. Three quarters of all people who join WorldVentures don’t make a single cent. 90% of all the money earned in WorldVentures is earned by the top 1%. Only one American recruit in a thousand makes more than average national earnings from the pyramid. Just like TVI Express, the founder of which was recently arrested in India, WorldVentures is something to be avoided. It’s a waste of time, effort and money and I urge you not to become a victim. If you want a discount in a hotel, there are plenty of ways to get them without coughing up loads of cash to join a pyramid scheme. Join a hotel loyalty club that offers you something for free, or use free web sites like Bid2Stay in South Africa. Pyramid schemes don’t make you rich. They make you poor! This week's BTV First Issues program, a follow-up on Food Safety and Consumer protection issues. "IT Workshops" Can this company be trusted? The saga of the failed laptop. "I bought a laptop at IT WORKSHOPS on the 12 February 2013 and within a week the laptop started to switch itself off and I called them and they asked me to come to their workshop. I went there and they took the laptop and promised to call me back but they didnt but I follwed them.....they promised to give me a different one and they didnt..
On the 13th May 2013 I went to their workshop they wrote me a letter promising to give me a laptop or my money back BEFORE the 18th May 2013 and they didnt. PLIS I NEED YOUR HELP........"
So I sent a text message to the contact number for IT Workshops and below you can see the entire exchange below (unedited except for removing names and bank details and inserting [***] whenever he made a promise that he later broke). IT Workshops' responses are in blue. Thanks for the update. She's in Francistown currently, could you pay it into her bank account? Will you let me know when the deposit has been made? Did you make the payment yet? I don't understand. Who is on the way to where? How is that relevant to her refund? Did you make the payment today? I believe that no payment has been made today, despite your assurances? I'll suggest that she seeks an order from the Small Claims Court as soon as possible and will be publishing the story in a forthcoming newspaper column. Bank: [removed] Branch: [removed] town. Account number: [removed] Account name: [removed] Will you let me know when the deposit has been made? When will the payment be made? Has the money been paid to her account? Did you pay the P900 into her account? Have you paid the remaining P200 yet? I'm told that you have not paid back the remaining P200. Please confirm? Il chek tomorow i had left an instruction. Do u have to be texting me off business hours like this?? When will you pay her the remaining amount? Guaranteed? Cash or directly into her bank? Did she get her money? Has she had her P200 yet? I think I know someone who can't be trusted, don't you? Last week it was soon-to-be expired baby formula milk that was the worry. This week it’s everything else. First things first. The baby formula. A reader bought a box of baby formula from a well-known pharmacy on a Buy One Get One Free offer. A bargain, we all like those. It was only when she got it home that she noticed that both boxes expired just a couple of weeks later. The store hadn’t done anything illegal, the milk hadn’t expired yet but there was simply no way a baby could consume it all before it expired. Three quarters of the milk would be either wasted or, more worryingly, fed to the baby after its expiry date. Luckily these were smart and caring parents. They knew this was wrong and they got themselves a complete refund. But that wasn’t the point. The store was being reckless. How many boxes had already been sold to parents who wouldn’t notice the expiry date? How many others would have been sold if they were still on the shelves? "This sort of behaviour has not and will not be endorsed by Aspen” and that their "policy to all our distributors and merchandisers is to remove stock off shelf with a 3 month remaining expiry date." They also said that they will be discussing “the steps taken to resolve the matter and prevent future occurrences." So far so good. As a producer of baby milk formula they know just how important expiry dates are and the dangers of them not being respected. That’s a good start but I think we deserve a little more. We need an assurance that it’s not going to happen again. Unfortunately this isn’t an isolated case of good expiring or being mislabelled. There’s an epidemic if it out there. I’m not exaggerating, I have evidence. Firstly we found exactly the same baby formula on sale in other stores around Gaborone, also expiring within a couple of weeks. The first pharmacy wasn’t the only culprit. Inspired by the baby milk issue we went out shopping, actively seeking out expired goods and I don’t just mean the more benign goods like tomato ketchup, baked beans and talcum powder, I mean the stuff that might actually kill you. In one store we found desserts with dairy content that had expired the day before. We found chilled chicken thighs that had expired two days before and which were already beginning to turn slightly green. In another store we found a packet of ham with a use by date nine days beforehand. More mysteriously we found many pre-packaged items with no dates on them at all. One bag of frozen chicken pieces had no dates displayed. No packing date, no sell by date, no use by or expiry date. Nothing at all to let you know if it was produced yesterday, last week, last month or last year. No clues at all. “No person shall … import, distribute, sell or offer for sale prepackaged food unless it is labelled in accordance with the provisions of these Regulations”. “No person shall … import, distribute, sell or offer for sale, any food … whose expiry date has lapsed [or] whose expiry date, best before date, or sell by date has been obliterated or forged, or whose label has been altered, obliterated or removed”. They also make it clear that labels must be conspicuous, indelible and legible. “Sorry, the label fell off” isn’t a good enough excuse. Unfortunately these regulations are being ignored. The fact that in just a day we could collect an entire basket of expired foods (or foods not labeled at all) suggests that stores aren’t checking their own shelves on a regular basis and throwing out expired goods. It also suggests something else. Clearly the Regulations aren’t being enforced. If it’s this simple to find expired and potentially poisonous products in stores then I think it’s safe to assume the stores aren’t being inspected sufficiently. If they WERE being inspected properly then firstly expired food would have been found and secondly the management of stores would be slightly more anxious to obey the law, don’t you think? Is it possible that the inspectors are either absent or ineffective? They certainly don’t seem to have much influence. Meanwhile this is yet another situation where consumers like you and me are left to protect ourselves. It’s up to us to check labels because nobody else seems to be doing it for us. Remember that the price to be paid for not checking labels can be severe. If you’re lucky any expired food you buy will just make you unwell. If you’re not so lucky it’ll kill you. Please assist with whether this email is true or just one of those scams. "Attention Dear Employee, We are happy to inform you that we receive your details in good faith and we bring to your notice that you have been approved to work in Beaufort Hotel London for five years. You are to stat work as soon as you get your work permit visa from Diplomat Stevin Joes. Your file has been accepted and we only advice you to contact your Representative officer in New Delhi India for Work Permit Processing to UK." This is certainly a scam. Firstly this is simply not how hotels in London or anywhere else recruit people. Given also that the UK is still in a recession why do you think they would recruit outside of the UK and the European Union? They certainly don't recruit people in Botswana via the British High Commission in India. Second, diplomats don't use "Diplomat" as a title. British diplomats can also usually spell correctly whereas the email was littered with spelling mistakes. High Commissions and embassies don’t require payments using Western Union. This is all about the "Work permit visa fee" they want you to pay them. That's the "advance fee" that the scam is all about. Once you pay that fee they’ll keep stalling you, demanding more and more money from you, either for legal fees, taxes or anything else they can think of. They’ll only stop when you run out of money or realize that you’re being scammed. Please don’t send them anything. It’s also extremely unwise to send copies of your passport to total strangers. ID theft is a serious issue these days. Just out of interest I called the number given for “Dr. Joseph Benson” and had a conversation with him. To begin with he simply couldn’t understand that I knew he was a scammer. It was only when he realized that he started swearing at me and saying rude things about my mother. The other day my wife received an email at her work place offering loans, obviously in this tight times with that kind of Interest Rate, this offer got their whole office in an uproar everybody wants to try their luck. This whole thing smells worse than a rotten rat to me, please help is this genuine or a scam? The clues that it’s a scam are quite simple. Firstly no lender these days ends that sort of money at such a low interest rate. They certainly don’t lend huge amounts to people in just 2 days. Real lenders want security and some assurance that they’ll get their money back. They don’t behave this recklessly. Real lenders don’t just use cellphone numbers and free email addresses to run their businesses. Real lenders are actually registered companies, unlike this bunch. There is no such company registered in either South Africa or Botswana. It’s a scam for sure and it’s certainly “a rotten rat”! An interesting piece from Brian Krebs and his always informative and interesting Krebs on Security site on a new direction card skimmers are taking. Petrol pumps. I'm not aware of any filling stations yet in Botswana where you can swipe at the pump but they'll come soon I suspect. Be vigilant. Want a loan? Not from Highgate Finance Corporation. Here's a great offer. Maybe. A reader received an email that seemed too good to be true. Get a loan from R10,000(Ten Thousand South Africa Rand) up to R10,000,000.00(Tem Million South Africa Rand) when ever you need it -at a fixed interest rate of 2.8% for your peace of mind. Whether you need money for unexpected expenses,a medical crisis, to further your children's' education, home renovations, car loan, business loan or consolidate your accounts -* Highgate personal loan could be the ideal solution. With Highgate Finance,you don't need to wait any longer for the loan you need!Apply right now in 2 easy steps-start by completing the short application form below and return by email or fax.You'll have a decision in maximum 24 hours and a cash lump sum could be in your account within just 48 hours!" The clues are simple to spot. Firstly, and most obviously, what sort of lender lends up to R10 million to total strangers without any hint of security? And at 2.8%? Real money lenders, whether they're banks, orthodox micro-lenders or even hoodlums on street corners want some sort of security, either your home, your car or just your kneecaps. Real lenders have landline telephone numbers and proper email addresses. Real lenders can punctuate correctly. Finally real lenders are actually registered companies, something "Highgate Finance Corporation Pty Ltd" seems to have neglected. Labels matter. I know they’re a bit boring but they really do. Life would genuinely be better if more people read more labels and more people actually understood what the labels said. That’s because labels are the unsung heroes in consumer affairs. Labels can save your money, keep you healthy and even save your life. "I am writing this as a concerned consumer and citizen. A few months ago my fiancé and i were blessed with a beautiful baby girl you could imagine the joy we felt. The baby is now 4 months old. Just yesterday my fiancé went into a pharmacy at Game City to buy some baby products and only to find they were running a buy 1 get 1 on some baby products, InfaCare Baby Formula to be exact. She was so excited and bought 1 x 1.8kg InfaCare Baby Formula and got the other for free. Her joy was cut short after she noticed the product expires on the 8th August 2013 which is in 2 weeks. There is no way possible my baby could drink that or even finish it before the date so this morning she is set to return the products and be refunded if they can't exchange. You can imagine how frustrated we were and glad we noticed the expiry date before feeding the baby. Considering how sensitive infants are at what they eat, these products shouldn’t be on the shelves to start with, which can pose serious health risks to our babies and even worse. I am therefore appealing to your office to assist or direct me to those who can. In doing so this will help those who are still to buy the product and might not pay attention to the dates thus putting their babies lives at risk." Like I said, most labels are boring. Only nerds like me read labels. But sometimes labels might save your life. Or might save the life of a precious new-born baby. The facts are simple. This baby formula was due to expire on the 8th August, just two weeks later. Each box contained enough formula to last about a month. The first box would have expired halfway through being used and the second, free box would have expired before even being opened. This assumes that the boxes wouldn't have sat on a shelf for a few weeks, purchased because they were a bargain. Let’s be perfectly clear. This isn't talcum powder, baby oil or nappies. It's baby milk formula, the baby's only source of nutrition. Even though the risk is very slight, it's a baby's health at stake. Maybe even its life. We went to the pharmacy to have a look, just to double check and the boxes were still on display. We couldn't find any expiring on 8th August but we found several expiring on the 13th August. When we asked to see the manager she was perfectly pleasant and understood our concerns but said she could only take action once she had cleared it with her Head Office. Unfortunately that’s not good enough. Let me say this again. It's baby formula. It's not an inert, risk-free product. It's a product that directly influences the health of babies. Waiting for guidance from Head Office is simply not good enough. While they’re fooling around having meetings boxes of this formula are being purchased and stored in peoples cupboards. The pharmacy needed to get these things off the shelf immediately, not after a lengthy conversation and consultation with someone far away. We wondered if this was typical. Maybe all stores do the same thing, holding stock on shelves that will expire within the consumption period. As a check we looked for exactly the same product in other stores. Not so. Other stores had the same baby formula but often with more than a year to go before expiry. That’s the good news. The bad news is that as I write this the pharmacy still have stock on their shelves that expire on 2nd October this year. That’s better but remember it’s a two for one offer. If you buy two of these boxes and start using it to feed your new-born baby on the day I’m writing this, the second box will be exhausted on October 6th, 4 days after it expires. This particular baby is lucky to have parents that are nerdy enough and caring enough to notice these things and who understand how important they are and also neighbourly enough to try and spread the word to you and me. This is a good example of when labelling is important. Clearly I’m not going to persuade everyone to read every label on every package of everything they buy and none of us have the time or energy to do that. But what we SHOULD be doing is reading the labels on things that matter, the foodstuffs that are likely to harm us. Don’t worry too much about bottles of tomato sauce, cans of beans or boxes of teabags. Don’t worry too much about fresh products like bread, fruit and vegetables that you can examine, feel and smell before you buy them. Don’t worry about the things that pose little threat to your well-being. Instead focus on the things that COULD kill you like any type of meat, seafood and dairy products. Despite what some will say pork isn’t the high-risk meat, it’s chicken. Focus on anything you’re going to give to someone who is at high risk like the elderly, the unwell, those with a compromised immune system or the new-born. That’s when you read everything the label says. Actually reading labels isn’t nerdy, not unless it’s only nerds who care about themselves and their babies. We should all become label-reading nerds. Update: You can see here how the manufacturer of the formula, Aspen Pharmacare responded. They were quick. I don't blame them, they just make the stuff, they don't keep in warehouses for ages before it's sold. The pharmacy, Clicks, weren't quite as fast but you can see their response here. I need your help. My company was paid by cheque by one customer who claimed to be a director of his company for supply of 6 air conditioners for the sum of P32100. We used the money after it was cleared. A day later I got a SMS from the bank stating that the cheque was unpaid. I went to the bank to enquire and they told me that the cheque book was stolen and that my account is overdrawn and that we should pay back the money. Is it my fault to have used the money? Who should be responsible for the overdraft, me or the bank? Neither. The person who should be responsible for the overdraft is the person who stole the chequebook and who then stole your money. However, as you know, life isn’t that simple. I don’t want to sound unsympathetic because I truly am, you’re the victim of a crime, but has the bank actually done anything wrong? They received a cheque that they thought was legitimate, then discovered rather quickly that it wasn’t and then tried to reverse the situation. It’s not really their fault that you spent the money before they discovered the crime. Given the circumstances I think there are several things you can do. Firstly you can call the police and report the customer for fraud and passing a bad cheque. Give them all the details you have on the crook that stole your money. You should also contact the company whose chequebook it was and see if they have any information that might help you and the police find him. Then I suggest you get in touch with the bank and see if they can’t be a little more flexible. They need to understand that you’re a victim of a crime and perhaps allow you some time to sort things out. Although you spent money that wasn’t actually yours, you did so in good faith. You weren’t trying to con anyone, you’re not a criminal, you’re a victim. If you like we’ll get in touch with them as well. Don’t forget to call the police and get them involved. I got married last year September and engaged a local company to do our photography and video. He demanded that we pay the full amount before the event, which we did and he promised to deliver 2 weeks after the wedding. When we tried to contact him after the 2 weeks he told us that he moved offices and even up to now he cannot tell us where he moved to. Most of the time when we call him he does not take our calls or he will tell us he is out of town and will promise to meet us when he comes and he has never fulfilled it. We requested several times to meet with him and he never availed himself. I doubt if he still has the video and the photos. We requested him to refund us and still he never did. We booked a venue for P1,000 for the photo shoot and we do not have a single photo. 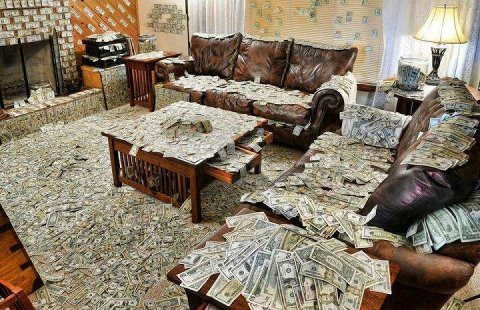 Can I claim this money from him as well? Please assist us. What is it with so many people that offer wedding services? Almost every week we have a complaint about this sort of thing, more often than not a photographer who lets someone down badly. Weddings are meant to be special days, aren’t they? I don’t understand how people can behave this badly on such special occasions. We’ll get in touch with the photographer and see what he has to say for himself. Maybe we’ll have some luck. If not I suggest that you get all your facts together and assemble any paperwork you have and prepare for a trip to the Small Claims Court to see if you can get your money back. I’m not a lawyer but I suspect you might be able to claim back the cost of the venue as well. Give it a shot! Finally, rest assured that if this isn’t sorted out soon he’ll find his company name recognised all over the place as one who fails people on their wedding day. Finally a response from Clicks in South Africa about the soon-to-be expired baby formula issue. The manufacturers responded within a day, Clicks took a little longer but better late than never. "Thank you for bringing the issue regarding the expiration date of InfaCare Baby Formula at our Clicks Game City store to our attention. We have investigated this matter and the store has removed all stock from the shelves, which is due to expire in the month of August and September 2013 respectively. Additionally, this specific ‘buy one get one free’ promotion is no longer running at the Clicks Game City store. The customer that purchased the stock due to expire in August 2013 has since returned the InfaCare Formula to the store and was issued with a full refund. We are committed to ensuring that all our products are safe for consumers to use and in doing so, we check all expiration dates of products on a regular basis. Should our staff come across any stock that is due to expire, it is removed from the shelves immediately. The product will then either be destroyed or the supplier of the product will collect it from the store. We apologise for any inconvenience that this has caused. Once again, thank you for giving us the opportunity to investigate this issue and respond."